TROY, NY (May 30, 2018): Leadership Matters released highlights this week from its recent survey examining the extent of gender discrimination in the museum workforce. The statistics are drawn from a survey conducted by Leadership Matters on Facebook from March through May 2018 to which more than 700 people responded. Museums employ more than 350,000 people with a workforce that is fairly evenly divided between women and men, according to the Bureau of Labor Statistics. Survey respondents represent all museum disciplines with 30-percent representing art museums/art centers/sculpture gardens. More than half of the respondents are in the 20 – 39 age range. About Leadership Matters: Joan Baldwin and Anne W. Ackerson are veteran museum professionals whose interest in museum leadership and gender equity have resulted in two books, Leadership Matters (AltaMira Press, 2013) and Women in the Museum: Lessons from the Workplace (Routledge, 2017), along with white papers on GenX leadership and leadership succession for the Museum Association of New York. Their blog, Leadership Matters, explores a wide range of leadership and equity issues. 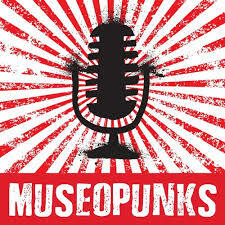 They are frequent presenters on these topics and co-teach a course on museum leadership for the Johns Hopkins University Museum Studies graduate program. About Women in the Museum: Baldwin’s and Ackerson’s work studying gender equity in the museum workplace resulted in the book Women in the Museum: Lessons from the Workplace, which is based on surveys, focus groups, and interviews with women and men to trace the extent of gender inequity in the museum field. As research progressed, the authors heard stories of discrimination that would make you think we were back in the 1950s and 60s. But they also heard stories of resilience and creativity as their sources spoke of getting work done. They also discovered the true depth and breadth of women’s contributions to museums, and early attempts by women to organize for greater equity. December 2016: The platform paper encourages readers to be in touch and to post examples of equity in practice at our Padlet. The links in the paper aren’t live, but they are here. November 2016: A Call for Gender Equity in the Museum Workplace is the newest publication from Leadership Matters and colleagues. In addition to highlighting some of the most egregious equity issues, the paper outlines action steps for addressing them. 2016: Our manuscript for Women in the Museum: Lessons from the Workplace was sent off in August 2016 to Routledge with an anticipated publication date of spring 2017. Meanwhile the gender equity conversation continues apace — hardly a day goes by without a news article, blog post or research paper on the issue. And now on the eve of a US presidential election that could see the country’s first woman commander-in-chief, gender equity at all levels and in all industries is as relevant and as urgent as ever. Museums are complicated places. Non-profits caring for America’s patrimony, they are alternately cast as elite or powerful, fun or boring, important or irrelevant. With collections and exhibitions both lauded and vilified, museums are sometimes significant economic drivers and sometimes astoundingly vulnerable. Collectively they employ 400,000 people, more than half of them women. Women & Museums: Lessons from the Field will delve into the professional lives of a female workforce who works across the spectrum from support staff to curators, CEOs, and more. 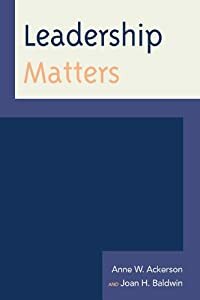 A lively, thoughtful examination of women working at all levels in today’s museums, Women & Museums is first and foremost a book about the triumphs and challenges women in the museum field face. Is work in the museum field different for women than for men? Is it different than the business world? How does leadership, internal decision-making and external perception change in the female dominated museum world? Are workplace challenges more acute for women if a field is under-resourced, under-appreciated, or in some instances, under-utilized? Supported by a series of interviews with women in museums big and small, at every stage of their careers, this book explores the 21st century workplace through their eyes and the museum lens. 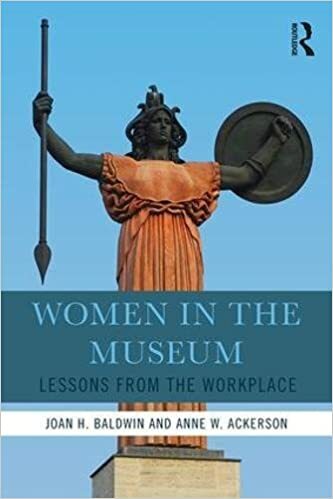 While issues of diversity and sexual orientation provide important historical and clarifying context to the narrative, this book focuses on the challenges and survival tactics shared by women in the museum workplace, an environment almost exclusively nonprofit, under-resourced, and little understood by the public. We’ve also begun meeting with small groups of women–at AAM in May, at AASLH in September–for informal discussions. Our next women’s roundtable takes place at the Noah Webster House and West Hartford Historical Society (CT), January 21 at 5 pm. For more information, contact Liz Shapiro at the Connecticut League of History Organizations. In the coming months we’ll ask those of you who are interested to take part in a survey. Please let us know if you would like to participate. In the meantime, think about your own story as it relates to gender and leadership. Have something to say? Let us know.